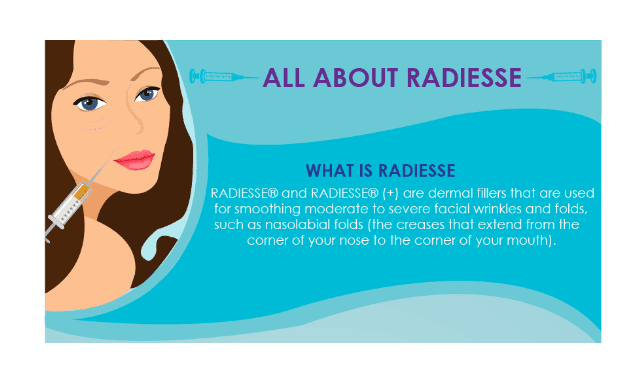 Radiesse Filler #Infographic ~ Visualistan '+g+"
All you wanted to know about Radiesse Filler. How Radiesse works, why chooses Radiesse and its precautions. Radiesse restores volume to cheeks and lips, tightens sagging chins and jowls, reduces smile lines and stimulate collagen. Created to inform viewers about Radiesse benefits and precautions. It is the only filler that immediately replenishes lost volume and stimulates the production of your own natural collagen It is clinically proven to last a year or more in many patients Patients are significantly more satisfied than patients treated with other leading wrinkle fillers It is FDA approved to mix with lidocaine to significantly reduce injection related pain. Treatment takes only a few minutes, so your smile lines can be softened during your lunch hour. With long-lasting results, it is the natural choice for nasolabial folds treatment.